The localised Chinese or peranakan Chinese of Java had a similarly hybrid culture as to that of the Straits Chinese of Penang, Malacca and Singapore. They adopted customs from the indigenous populations and blended them with their own. 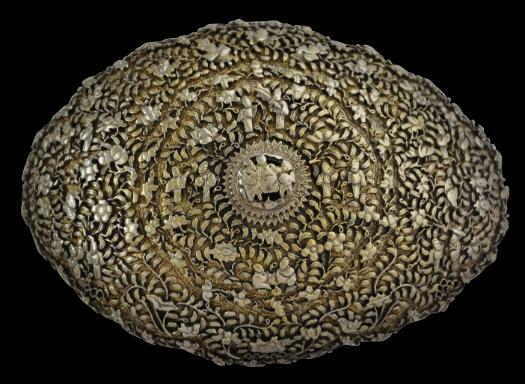 One such custom was the wearing of large ovoid-shaped belt buckles for important ceremonial occasions such as weddings. 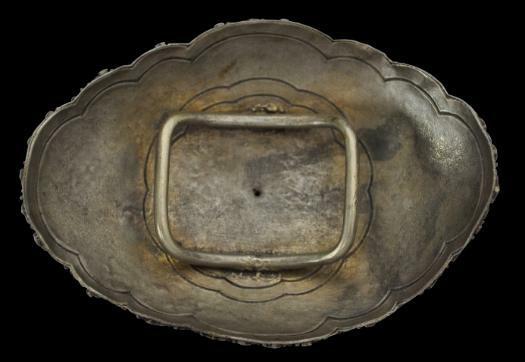 The example here comprises a silver belt of ovoid shape but with stylised, crenulated edges reminiscent of a Chinese cloud motif. The buckle is convex. 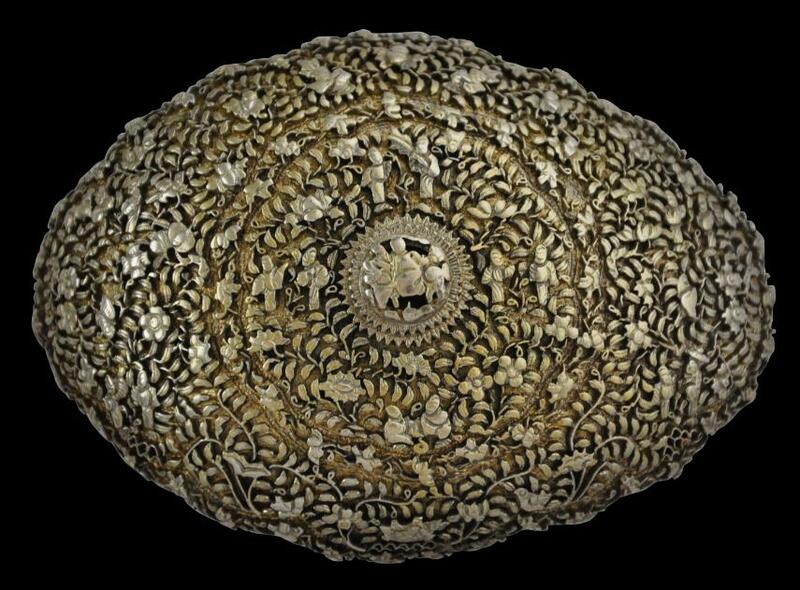 peranakan silverwork from West Java. The surface has been gilded (gold-plated). The reverse of the buckle has a frame through which the belt can be threaded. The buckle is in fine condition.